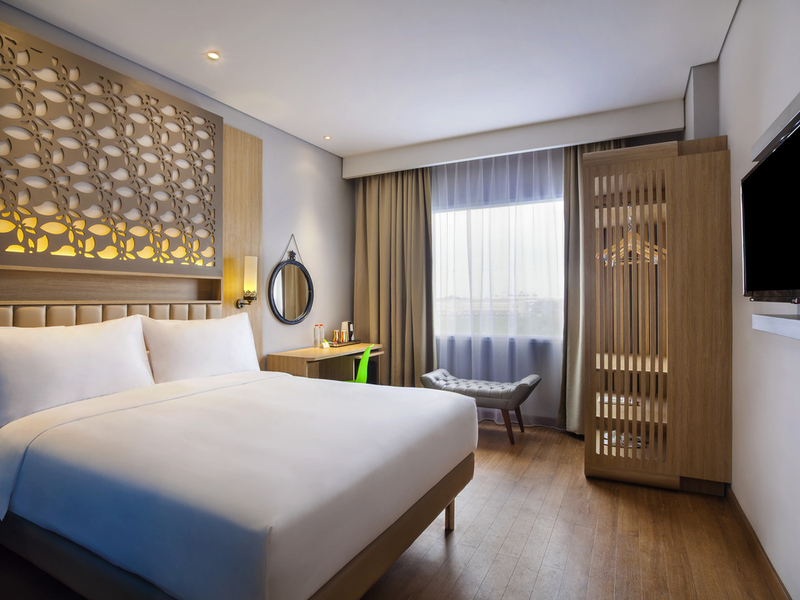 Located in Cikarang, a prominent industrial region in the Greater Jakarta area, ibis Styles Cikarang is within Movieland Jababeka II, one of the largest and most established integrated industrial estates in Cikarang. The hotel offers 161 rooms, a restaura nt and 5 Meeting Rooms. Our rooms boast a modern and minimalist design, featuring tea and coffee maker, LED TV, satellite tv, in-room safe deposit box. Bed size available for single and double. Some rooms have panoramic view and face Jababeka green scenery. Located at the lobby area, the All-Day Dining restaurant can host 164 guests within its smoking and non-smoking areas. It features International, Asian and Indonesian Dishes as well as the Dim Sum of the Day provided by our Executive Chef. Located at the lobby area, the Lounge Bar is the place where you can relax and enjoy different drinks and small bites at any time of the day. Ideal for an afternoon tea break.